Date Stone on Stone House, Yew Tree Lane. 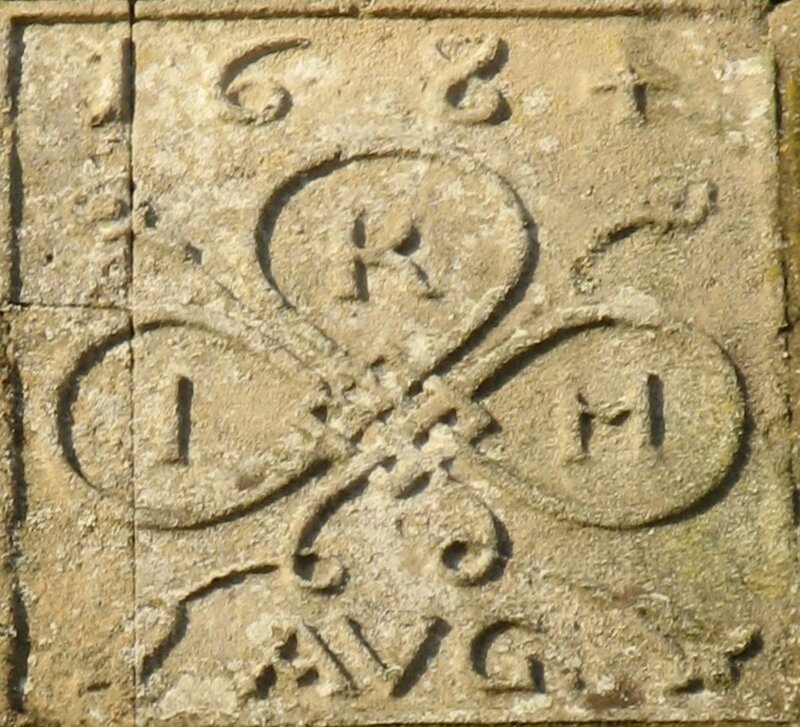 1684, K is surname, I is husband, H is wife, AVG is stonemason. The trefoil on the date stone is similar to Cotfield outbuildings, so possibly the same stonemason. 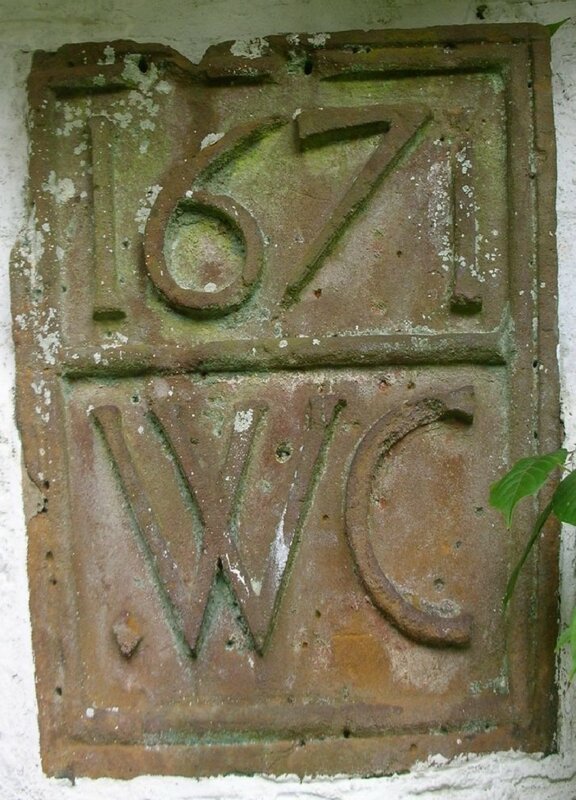 The 1688 date stone on the east face of the outbuildings of Cotfield before refurbishment, during which the date part was lost. 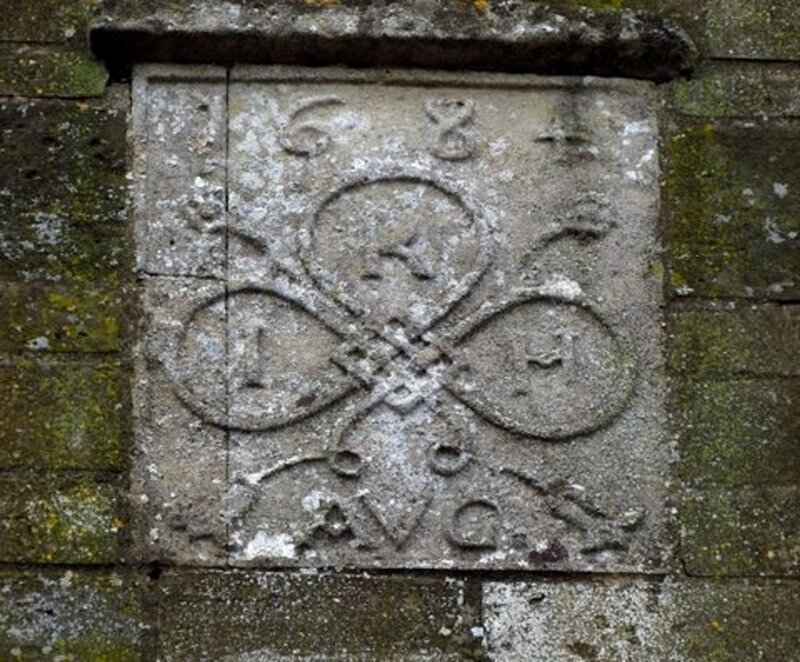 The trefoil on the date stone is similar to Stone House, so possibly the same stonemason. But much doubt has been cast on the authenticity of Builders Date stones, particularly on that currently on the stable block in Cotfield. Elaine Armstrong recalls that the Cotfield stone was placed in its current position when the stables were being renovated by the then occupier, Mr Mobbs (of the shoe-making family who spent much of his time in New Zealand fishing) shortly after Elaine moved into No 4 Yew Tree Lane in 1956. Say in the late '50's. She believes that the builder added the date above the sandstone stone in mortar as a whim - when the owner was away. 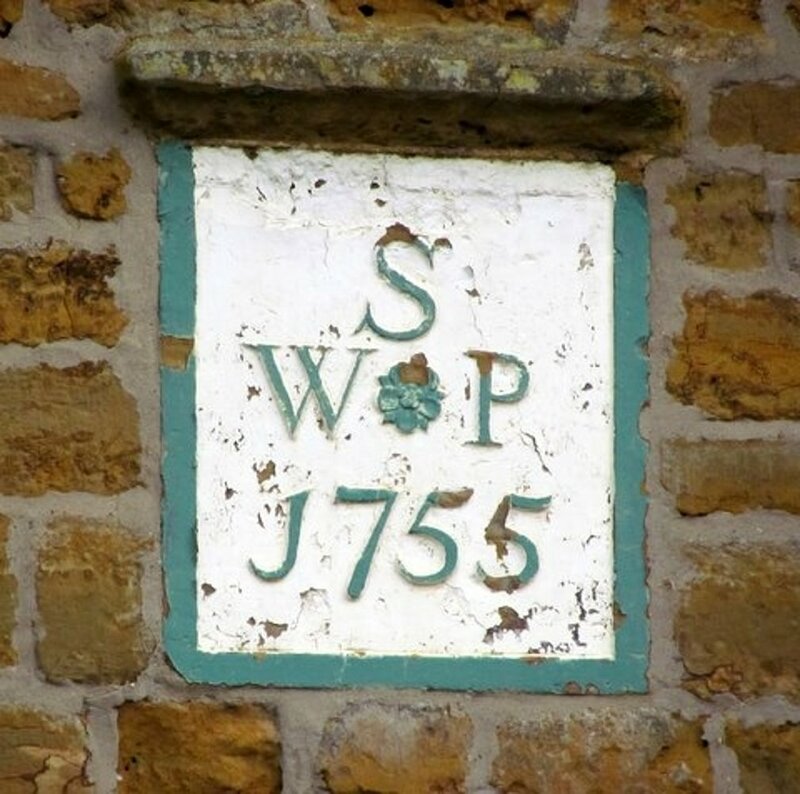 The suggestion was that he took a look at the date on the original stone on No 4 Yew Tree Lane, and possibly that also genuine one on 2 Yew Tree Lane, and thought 1688 would be a good date. Close examination of the photos suggests that this could be very possible. Note the different hue of the date and its similarity to that of the surrounding mounting mortar. The numerals, particularly the 8's, are rather crude. The date certainly does not relate to the house, which was built circa 1830. 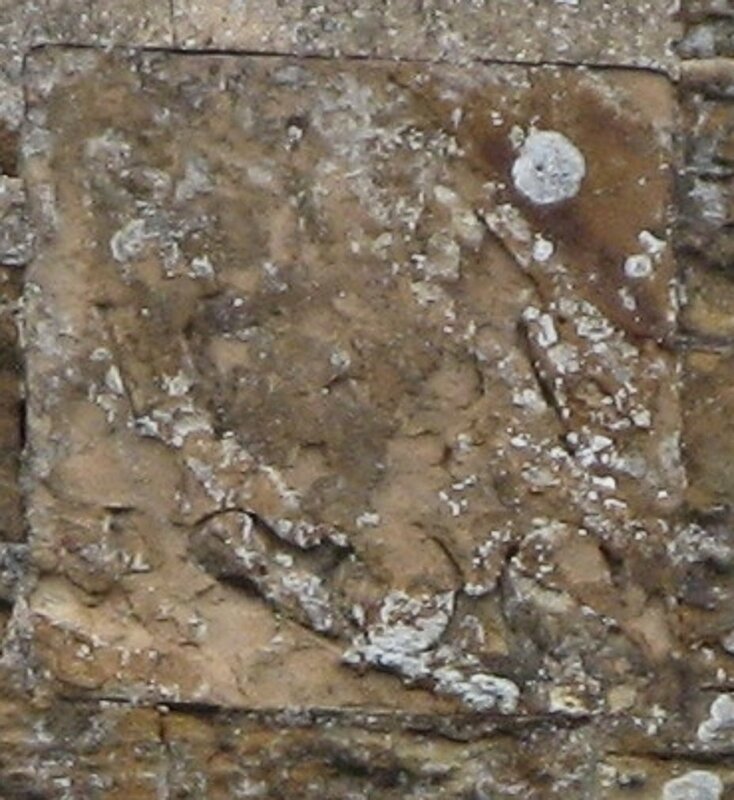 The 1684 date stone on the east face of Stone House, Yew Tree Lane. 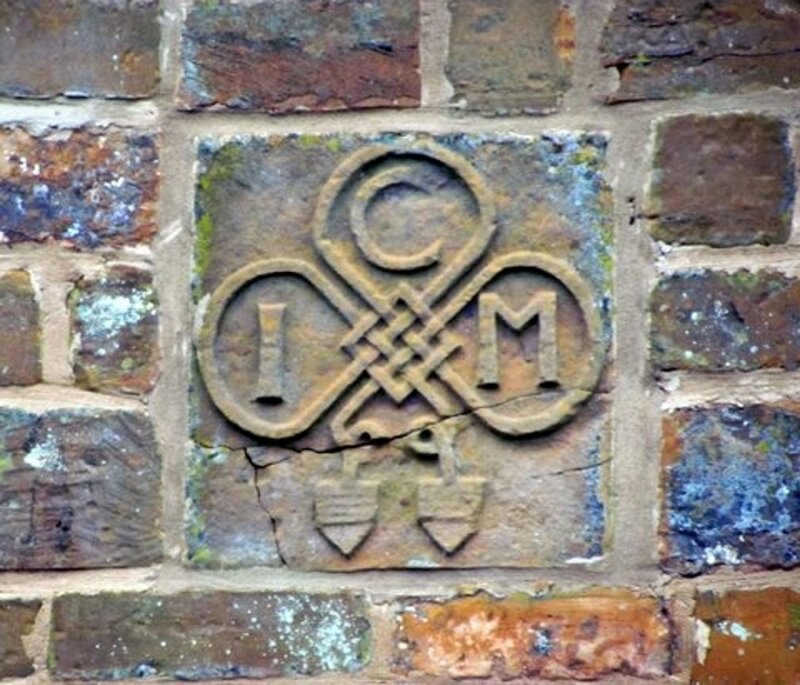 The trefoil on the date stone is similar to Cotfield outbuildings, so possibly the same stonemason. 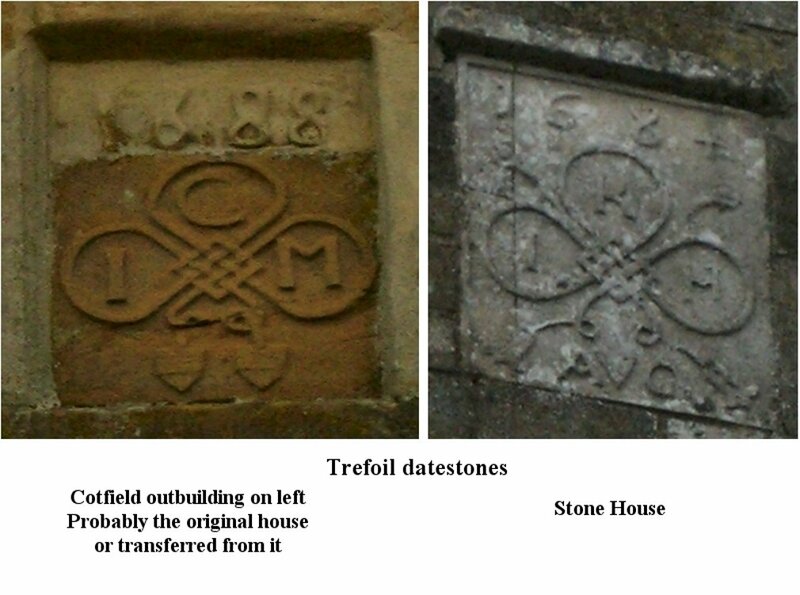 Trefoil datestones from Cotfield outbuildings (1688)and Stone House (1684). They probably indicate that the same stone mason was involved. The one on Stone House bears the initials AVG. 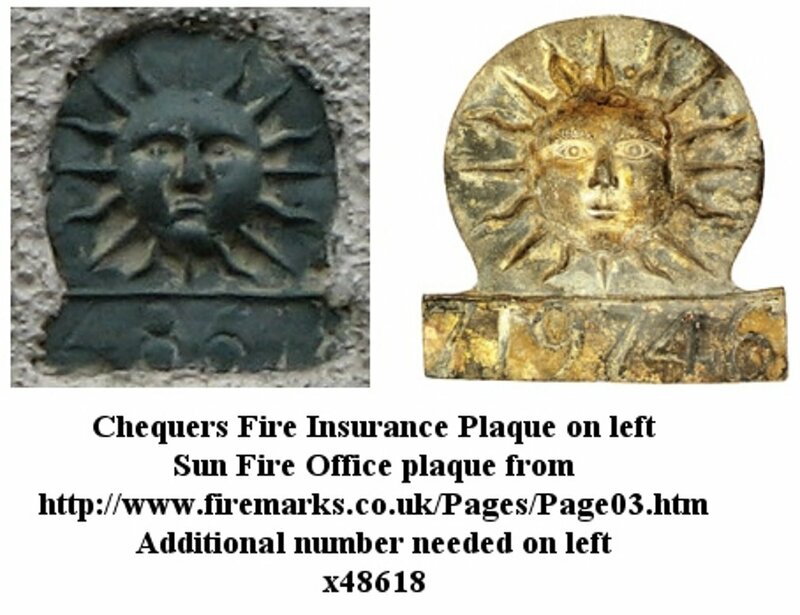 The names pf the people who would have commissioned the work cannot be ascertained, I and M Cxxxxx at Cotfiled (might this have been a Chapman? ); I and H Kxxxxx at Stone House. (The I's are almost certainly J's).